I’ve released a LOT of content today… So check out my latest premium eBook and my Silo Structure video as well as this post. I recently got featured in a round-up on keyword research, and had quite a few people message/email/tweet me and all the other various ways we now have to communicate online to expand my technique in that round-up into a full blown blog post. So, here we are. Now, my way of doing keyword research is pretty tool-intensive, as I have the tools available and at my disposal then of course I am going to use them. I do however apologies to anyone who doesn’t have access to these tools, as I know they can be expensive… From first hand experience of a couple thousand bucks coming out my bank account every year. Just 3 tools, now let’s get into how I do it. This now gives me 5 Page #1 SERPs to start looking at. I also do this for every other keyword I found in the auto-suggest, as these will likely all be very relevant pages. I’m just going to use a few from the 7 above to show you for example purposes. They’re all very niche relevant to the keyword I first put in. Note: You should run every page through for the best keyword results, but I’ll just be using these 3 examples. Also make sure any pages you are running through are solely niche relevant, don’t go for broad pages e.g a page about dogs wouldn’t suffice to “dog training”. I like SEMRush in comparison to Ahrefs tool purely because they A) Have more countries, if you’re going after alternative Google sites and B) Generally have a larger keyword base, though that is niche dependent. Note: SEMRush doesn’t allow sub-domain lookups, so use Ahrefs position explorer via the tutorial below if you have sub-domain links. If you’re in the free version you’ll see a few results, but you’ll need the premium version to see them all, just click the “Export” button to get the full list of keywords. A fairly new tool developed by Ahrefs to compete with SEMRush, and is doing a pretty good job. I ran all 3 URLs through both SEMRush and Ahrefs PE and managed to pull off over 300 unique keywords, ranging from 10 MS to over 10,000. Note: Make sure you make a note for future reference of EVERY page you find ranking, as this list can be used to reverse engineer backlinks when doing SEO for the page you’re going to build for these keywords. All these things will help with your future page build and OffPage campaign. I’ll first combine every competitor keyword list I pulled into one super spreadsheet, removing any duplicates in the process – Leaving you with just unique keywords. I’ll then run that super spreadsheet, or each individual one through Google Keyword Planner to pull off the true MS data for my country (or internationally) and export that spreadsheet. 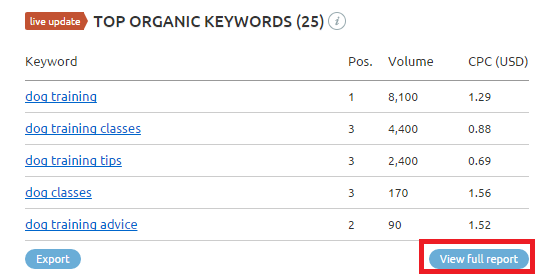 I then have a VA manually analyse every keyword (by searching it) and making a note of the top 3 results and their corresponding stats (TF, PA, Link Count, Social Signals etc…) so I can have a quick overview of what kind of competition each keyword I’m going after has. I can then make a very strong assumption of what kind of tactic, links, page size, domain authority etc.. are needed when going after each keyword. I hope you enjoyed this blog post, and it gave you a solid technique for finding profitable keywords. 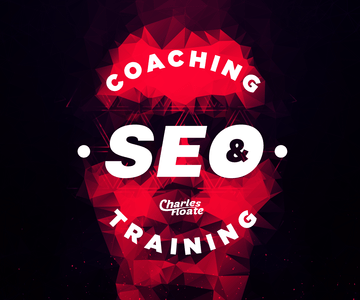 Don’t forget to join my newsletter and drop a comment with your own variations of this technique or even your own keyword research technique below. 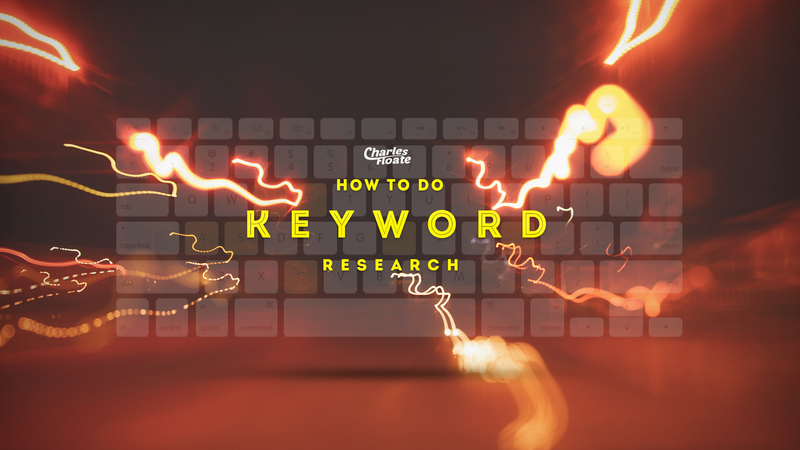 Charles, thanks for sharing your take on Keyword Research. I really enjoyed it and in particular like the idea of focusing on the auto-suggest results in Google. When it comes to analyzing the difficulty of the actual keywords I have had success with Moz’s Keyword Difficulty tool. Have you ever tried it and do you have any thoughts on it? How do you just focus on ranking for the UK. Is it because you have a .co.uk site that google puts you there? Yes, you can also use markups to show where you’re based. Charles..I’ve been using different tools and have been looking at “Keyword competition” stats for but all these tools show different results. Do you know of a reliable tool that measures keyword competition accurately? Unfortunately not George, that’s why I use this method and manual checking by VAs 🙂 Once you’ve gauged certain KWs via testing your pages in the SERPs, it’s fairly easy to test the other ones. Great recap of SEO tools. Some of my favourites in there. SEMRush keeps getting better and better. Yeh, and Ahrefs keep adding new stuff too! Yeh, Ahrefs is still up’ing it’s game but SEMRush does cover Spain! The only thing with concentrating on the UK, is that most of the relevant keywords are dominated by .com’s here in the UK. The keyword searches are also significantly down too.I’m going to try and concentrate on Amazon. But here in the UK, the top positions are all took up by ridiculous results like the telegraph and mirror etc..
Eh, I’ve beaten a lot of pages like that before – Bigger pages, better onpage and inner linking to them works well. Great article Charles. Have you found it do-able to outrank high DA / PA pages with new exact match domains? Or are you using expired ones with better metrics? I guess my question is – what is the threshold when you don’t even want to try and rank for something? I actually mostly pick up brandable new domains, or use domains from Flippa – I prefer brandable domains over EMD/PMD ones or expireds. Hey Charles love the post, good to see another approach to keyword research. Question: what do you mean by the acronym “MS” data in this article? Loved every minute of it, seriously considering living there for a few months in 2017! Hey Charles, great article mate. Love the fact that you’re not feeding your reads any BS extra words, straight to the point. As I see it you have a well functioning process for doing kwd researches. 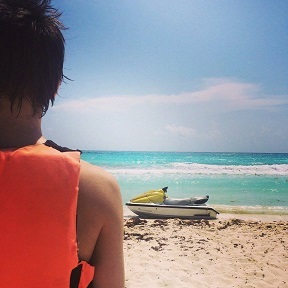 I personally like to explore and applying different keyword research approaches exhausting all possibilities. Moz’s tool is a piece of sh*t in my opinion, it’s broken as f*ck right now.. Try Ahrefs KW Research Tool 2.0 out! Looks like post ended unexpected as I just started digging deeper and oops – Thanks for reading. Is there part 2? Not yet, though something coming soon! 1. you say that you run the spreadsheet through google keyword planner to see ms. doesnt in only show approx ms? 2. when building a site, will you actually use all the keywords in your pages or just choose a couple of main for each page? 3. do you fill every h2 with a keyword or leave some keyword-free not to annoy google? 4. if you make a reviw page about coffe makers and each picture is literally a coffee maker, will you use this keyword as alt text for every img? 1 – I use Ahrefs now, this tutorial is nearly 3 years old. Though if you run am active campaign on AdWords it’ll show you the actual MS.
2 – We don’t use every keyword, I like to track every keyword. 3 – I write for the user first, then go through and see where I can add in Google optimization naturally.